The Coolie/Kooli is an Australian dog breed, known for his extended muzzle and coloration. It is a very brainy dog with good herding abilities. It is very good with children, if given good training and early socialization. 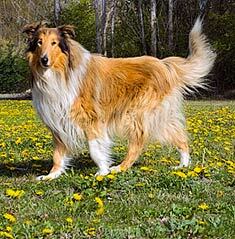 The typical lifespan of Collie is 18 years and there are no genetic problems linked with this breed.